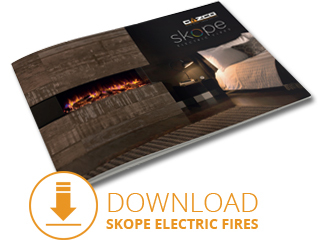 Home » Blog » Posts » Electric Stoves & Fires » New electric stoves and fires brochures including the latest Skope! Joining the Skope electric fire collection are four new fires, the Inset 55R and 75R as well as the multi-sided 55W and 75W. These models bolster the range with new portrait formats, which feature all of the Skope’s innovative features including Chromalight Immersive LED Systems and a selection of interchangeable fuel beds. Inset versions are sized perfectly to fit into existing British chimney breasts, with models offered with optional slip sets for installation with Gazco’s various stone mantels. Multi-sided 55W and 75W models can be fitted as either three-sided fires or two sided corner fires if desired, and lend themselves to bespoke designer installations. These stunning electric range feature in our Skope electric fire brochure. This exciting new electric stove range comprises the Midi on plinth base and the Midline on log store base. 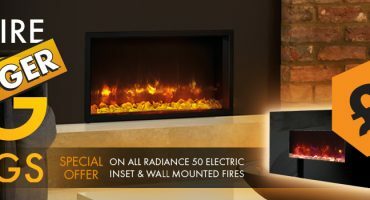 Both models feature breathtaking LED flame visuals pioneered by the popular Skope electric fire range. A deep flame effect is projected to appear amongst the variety of fuel effects for a captivating three-dimensional display. 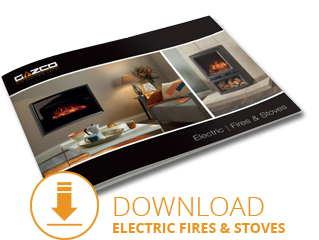 Our Vogue Midi electric stove is featured in our Gazco electric fires and stoves brochure. 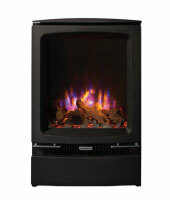 All new Studio and Riva2 Electric Inset fires have now been added to our Electric fires and stoves brochure. Featuring eye-catching fuel beds and deeper displays enhance visuals, these electric fires can be upgraded with a new Programmable Thermostatic remote control to allow you to programme your fire to suit your lifestyle. Both Studio & Riva2 Inset Electric ranges feature in our Gazco electric fires and stoves brochure. 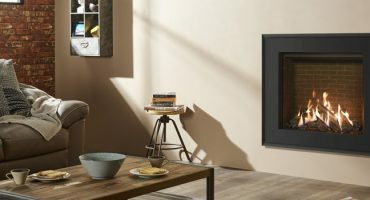 Where can I view these electric stoves and fires? 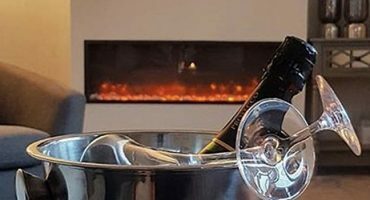 Whether you want to achieve a modern, contemporary look or a more classic, traditional interior, we have a wide range of electric stoves and fires to suit a range of homes. We recommend that you visit your local Gazco retailer to show you a selection of our models locally in their showrooms, often fully operational. These independent retailers will discuss your individual requirements both technical (such as sizing the heat output to your room) and design, to ensure that you select the most appropriate product for your home. They will also be able to advise on, or assist with, the installation process as well as help provide any after-sales support and servicing your appliance may require in the future.